It’s been a while since I did a round-up but this month there is news! The most important news is that the new horror novel, OUTPOST H311, is now out! It is available in paperback and Kindle format from Amazon UK, Amazon US and I’m even including the links to Amazon Canada for my Canadian friends. I’m quite excited about this book. It seemed to be quite difficult to write, for various reasons, and it was a long road to get it to this point. But now, at last, here it is. I’m still working on this. As ever the best promotion for a writer is a good review, so please do consider doing a review if you read the book, even if it’s just a few words. It all helps. I’m also interested in guest slots on other people’s blogs, so if you run this feature, please get in touch. I can offer reciprocal slots on the ‘Monday’s Friends’ feature. I’ve been manically busy in the day job, not to mention prep for the release of OUTPOST H311, so not a lot writing is being done at present. And that’s about it for now. See you next month! Writers are, by nature, solitary creatures. We are not comfortable in crowds. So it’s sadly ironic than nowadays we are expected more and more to get involved in marketing our books. To be expected to do readings and interviews. Most writers tremble in fear at the thought of facing a crowd of people. The days of the writer holing themselves up in their garrett writing, never seen by the public, while the publisher’s minions run around selling books for them, are, by and large, over. Unless you land a deal with one of the major commercial publishers who have a publicity department – and even then you’ll have to turn up to signings and promotional events they arrange – you will be expected to play a proactive role in marketing. So, set aside your fear of being the centre of attention and get used to pimping yourself. Every writer should have, at the very least, a blog, a web page and a Twitter account. Many people assume there’s no point in setting up social media accounts until they’ve got a publisher, but there is an argument for getting yourself out there and setting up accounts before you’re published, and at least by the time you’ve got something to sell you’ve built up a following of people who may be willing to go out and buy your book. None of these things have to cost any money. You can set up a blog on Blogger or WordPress in a matter of minutes, just by choosing a template. There are several free templates available for websites too, that don’t require any programming skills (the one I use is Weebly). Set up a Twitter account and start Tweeting about things that interest you, using hashtags to connect with people who have similar interests. Never underestimate what aspects of your life that you take for granted someone else will find interesting. I take the train into London every day and shuffle around the capital with thousands of fellow commuters, and I’m half asleep when I do it. But occasionally I am reminded that to people that don’t live in London, this is an endlessly fascinating city. As a writer you obviously want to talk about your writing, but don’t be that person that only ever Tweets ‘buy my book’ because that turns people off really fast. My most important piece of advice for when you are published? Get yourself some business cards, with your name, your website, an email address and if possible, an image of your book cover. Take them with you everywhere you go, because you never know who you will meet. I have handed business cards out to people on mountains in Peru, and in deserts in Arizona. Every time I get chatting to strangers when I’m on holiday, if I have cause to mention I’m a writer, and the person replies, sounding interested, “oh, what do you write?” I will hand them a business card. And I learned this lesson the hard way. In 2010, just after the first book came out, I went to the Horror Con in Brighton. I’d packed postcards, and business cards, but we headed down on the train after work, and when we reached the hotel we discovered there was a party in a bar on the pier, which had already started, so we dumped our luggage in the room and headed straight there. Then we discovered it was a free bar, so of course that’s where everybody was. And I had so many occasions to hand out my cards and tell people all about my new book, but they were all back in the hotel room. I’ve never made that mistake since. Once you’ve got that book deal, there are other things you can do to promote yourself. Host guest posts on your blog site featuring other writers, and get them to host you on their site. It’s mutually beneficial to both host and guest, and it doesn’t cost anything to do it. Go to conventions – as many as you can afford – to meet up with other writers, readers and publishers in your genre. When the call for panels goes out, volunteer for one. Most calls for panel volunteers also ask you to list what sort of panels you want to see, so think realistically about what you could feasibly talk about. Short fiction? Cross-genre fiction? Independent publishing? 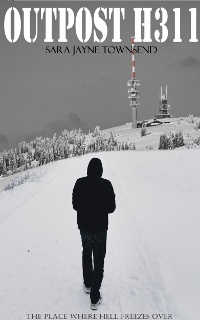 The road to publication (no matter how far along it you are)? Throw out any ideas you can – you never know what might inspire the panel organisers. You should also try contacting your local paper and your local book shops to see if they are interested in promoting you, but this is very hit and miss. I had some success with the former, but if you’re with a Print On Demand (POD) publisher, getting your book into book shops entirely depends on the shop’s buying policy. I have found that in the UK, a lot of book shops aren’t interested in taking anything they can’t buy on a Sale or Return basis, and that’s generally not possible with POD. But still, it doesn’t hurt to ask. You might discover that the manager of your local bookshop is an advocate for small presses and is agreeable to organising a signing with you. In short, do what you can to pimp yourself, when you can. And there will be times when it all seems like a great deal of effort, and when the royalty statement comes in and you haven’t sold much, you will wonder why you bother. But marketing is all part of the process of being a writer, and it’s something that we all have to participate in to a certain degree, no matter how disagreeable it might be. Well the blog has been somewhat neglected over the last couple of months. I resolve to pay it more attention next year. We find ourselves at the end of 2016, so this post will be a reflection of my writing year, and not just activities of the past month. My two horror books were re-released this year. MuseItUp published SUFFER THE CHILDREN (Kindle versions available on Amazon UK and US sites). 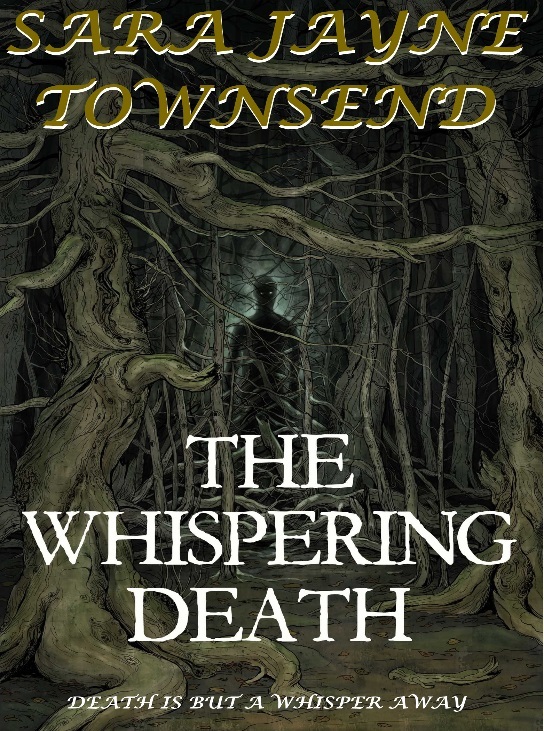 Meanwhile, KGHH Publishing (formerly known as Kensington Gore) re-released THE WHISPERING DEATH with a wonderful new hand-drawn cover. It’s available in paperback, and on Kindle UK and US formats. I pledged to have at least one guest appearance a month this year. I mostly succeeded to October, but the last couple of months of the year dropped off for various personal reasons. A full list of all my online appearances can be found on my website. I’ve made some progress with the first draft of the fourth Shara Summers book, which is entitled DEADLY SUMMER. The third book will be released next year, and I hope to have the fourth book in a state to be submitted by this time next year. I’m also contracted to submit another horror novel to KGHH in 2017. The one I was working on at the beginning of this year I have since abandoned since it really wasn’t working. I now have the plot of a new book formulated, so I need to get motoring on that one. I have a feeling that 2017 is going to be a difficult year for many, so I’m sending strength and positive thoughts out there into the ether, to fortify us all. I’m a week late with the latest round-up, since it’s now November. Nothing new out this month, but another plug for my two horror novels. SUFFER THE CHILDREN is available in all e-book formats from MuseItUp Publishing, and THE WHISPERING DEATH, with its fab new cover, is available in paperback and in Kindle format from Amazon (US and UK). On the last day of October I had a guest spot on the fabulous Joan C Curtis‘s blog talking about the discipline required for writing. And I did my final convention of the year in October as well – Bristol HorrorCon. This one-day Con celebrating all things horror has now been going for two years, and is great fun. I did a panel on Horrible Crime, where we discussed the crossover between crime and horror (and digressed a bit as well), and I did a reading as well. Work continues on the fourth Shara Summers book, DEADLY SUMMER. Which was initially a working title but I think it works so I’m inclined to keep it. Still on the first draft though, so early days yet.